“Mission: Impossible – Fallout” is a great many things. It’s well-acted, it’s thrilling to watch, and it’s emotionally satisfying. It may even be in the discussion for best entry in the series. But perhaps most important of all, it’s proof that the “Mission: Impossible” franchise is showing no signs of franchise fatigue. On the contrary, the films seem to be getting better in every measurable way. IMF Agent Ethan Hunt (Tom Cruise) has certainly seen better days. After he and teammates Luther (Ving Rhames) and Benji (Simon Pegg) fail to keep three stolen plutonium cores from falling into the hands of old enemies, he’s forced to take on a new “partner” by the CIA. That new partner, August Walker (Henry Cavill), like the CIA, does not think highly of Hunt’s methods. In fact, he’s there to make sure there’s no second failure as Hunt again tries to recapture the stolen plutonium. Past and present collide in the course of the mission, as Ethan and company must contend with shifting alliances, more old enemies, and unintended consequences borne of the best of intentions. All in a days’ work for the IMF, right? 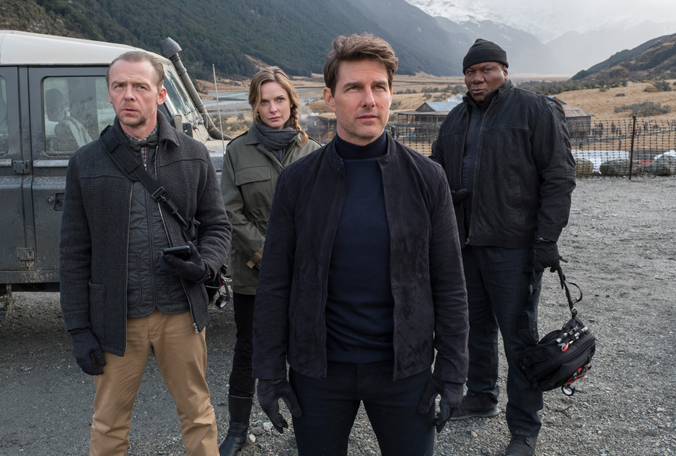 “Mission: Impossible – Fallout” represents the first time a director from a previous film in the series has returned for another go around. Writer/director Christopher McQuarrie (“Edge of Tomorrow“) does make this entry feel quite different from his previous effort on “Rogue Nation,” however. While the set pieces and action are still quite inventive and thrilling, emotion is more important to the proceedings here than it was in the last film. “Rogue Nation” also had a few such nods to what’s past. “Fallout,” however, makes those allusions essential to the film’s emotional throughline. The result is a film story that, while still plot-driven, at least makes who the characters are and what drives them critical to the resolution. 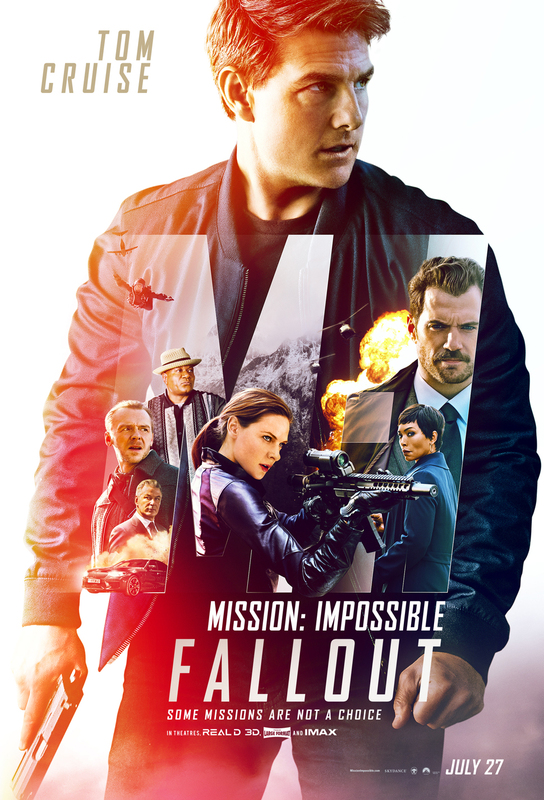 That’s not to say there’s anything heavy or ponderous in “Mission: Impossible – Fallout.” That just wouldn’t fit with the brand. Even at two hours and 27 minutes, the film flies by, hopping from one breathtaking set piece to the next. It provides just enough time for audiences to take stock of plot twists and reversals and to take a breath before plunging into craziness again. The fact that so much of what audiences get in “Fallout” was accomplished without the use of CGI or blue-screen work just adds to the film’s intensity and impact. The fights, the chases, the “aerobatic insanity” all still pack a punch, even after six films. By the end, you might just feel exhausted. But it’s a good kind of exhaustion — the kind you feel after a wild ride. All that advertising proclaiming “Mission: Impossible – Fallout” the “perfect” summer movie isn’t that far off the mark. For longtime fans of the series, it just delivers more of what you’ve loved all along. If you haven’t seen the other movies, don’t sweat it, though you may want to after you see this one. The fun isn’t contingent on being able to recall the previous films scene for scene. It just requires your favorite movie snack (mine is rapidly become Pocky) and a little suspension of disbelief. Starring Tom Cruise, Henry Cavill, Simon Pegg, Rebecca Ferguson, Ving Rhames, Sean Harris, Angela Bassett, Vanessa Kirby, Michelle Monaghan, Alec Baldwin, Wes Bentley, Frederick Schmidt. Directed by Christopher McQuarrie.